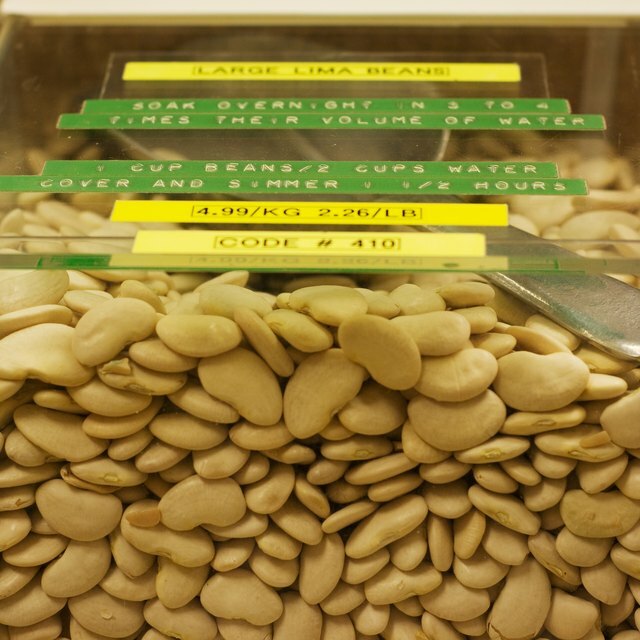 Whether you make white bean soup with large cannellini or great Northern beans, or small navy or pea beans, you have a wide range of seasonings to choose from. Spices for a navy bean soup already filled with the flavor of ham hocks will need different spices than a lighter, French-style soup without any meat. No matter what kind of bean soup you choose, make sure to take a taste as you cook to ensure that the flavor is just right, and don't forget to add salt to bring out the flavor of all the other ingredients. Mild-flavored white beans taste best combined with one or two pungent spices that contrast with the creamy sweetness of the beans. White bean soups made with sausage, smoky bacon or flavorful chunks of ham need just one or two spices to give them an additional depth of flavor. Salt, pepper and either a few bay leaves or a small amount of dried oregano give the soup a classic profile without too many flavors competing with the meat. You might also choose to change the flavor profile with an unusual seasoning, such as adding a small amount of cayenne pepper, hot sauce, red pepper flakes or a tablespoon of canned chipotle chiles in adobo sauce to enliven the soup even more. Canned beans make the work of cooking white bean soup easy, because the beans are fully cooked to the right consistency without any effort on your part. Use the beans plus their liquid for extra flavor and texture, and simmer them along with your seasonings for 20 to 30 minutes so the beans absorb the flavors of the spices. Without the inclusion of intensely flavored meats, your bean soup seasonings can be more assertive. Try a combination of sage and thyme along with salt and pepper, or use dried oregano and and red pepper flakes. Substitute dried rosemary for any of the other dried spices, along with a flavored salt, such as one with fennel or mushroom flakes in it. To give your soup a French flair, use fresh herbs added just before you serve the soup. Fresh tarragon, flat-leaf parsley, basil or grated, fresh ginger all pair well with white beans. Any bean soup tastes better with a small amount of an acidic ingredient added just before serving to brighten the flavor of the soup. Use a tablespoon of white or rice vinegar for a soup with meat, added during the last 5 minutes of cooking. For a vegetarian soup, squeeze a bit of fresh lemon or lime juice into each bowl after ladling in the soup. How do I Make Homemade Vegetable Beef Soup in a Crock Pot?